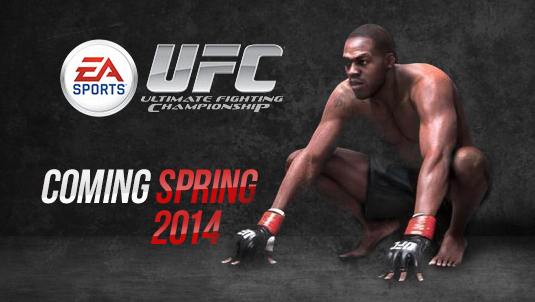 I recently downloaded the new UFC game demo from EA Sports. EA is in a weird situation here, they want to make a game that is a simulation of the sport like their other games. But the problem is, the UFC is a fringe sport and you want to attract as many new players as possible. Of course you need to make the game fun and quick to get into, but when you play the demo you quickly realize that is not the case. I am an old school gamer, played tons of wrestling, boxing and fighting games, even played the old UFC games. The impression I got of the demo is simple, it is too much. The boxing games mixed easy controls with enough strategy for veteran players, old wrestling games like the ones on Nintendo 64 did this as well. The impression from the UFC is you will have to put in weeks of practice just to be decent at the game. Now many of you are probably cool with that, and MMA is a dedicated and nuanced sport that needs practice and training. But in the world of video games, with mobile simple games dominating and being quick and easy to pick up, you have to appeal a lot more to a more casual gamer. Of course the argument might be, that you can go into settings and make it more user friendly, but my argument is, how many people will do that? When they go to Walmart or Gamestop and see the game being demoed and they play a couple minutes, if it don’t grab them right away they are not going to buy it. It is a hard thing to do, balancing the pick up and play fun with real simulation type sport. But it sure does feel like games of yesteryear managed to pull it off way better than games of today, then again, we had less buttons to deal with to! This entry was posted in Games, Play Station 3, PS 4, video game, Wii U, Xbox 360, Xbox One and tagged controls, fun, Video Games. Bookmark the permalink.